Conversion cable for Roland & ATV’s 3 zone e-cymbals with dual outputs for bow/edge + bow/bell (like CY-12CR, CY-13R, CY-15R and ATV aD-C18) to Yamaha 3 zone connections. 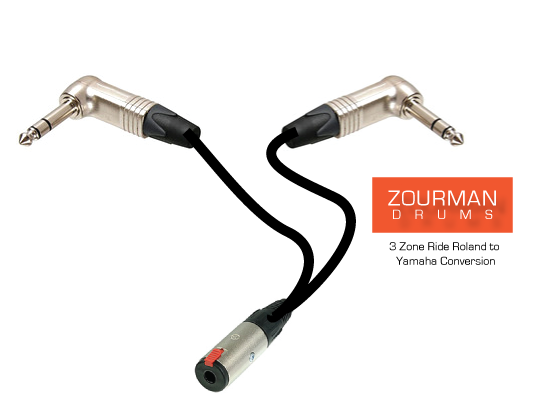 The cable can be used for drum modules like Yamaha, Pearl Mimic Pro or MegaDrum (Especially for the crash cymbal inputs) which supports Yamaha 3 zone connections (in one stereo cable – TRS). 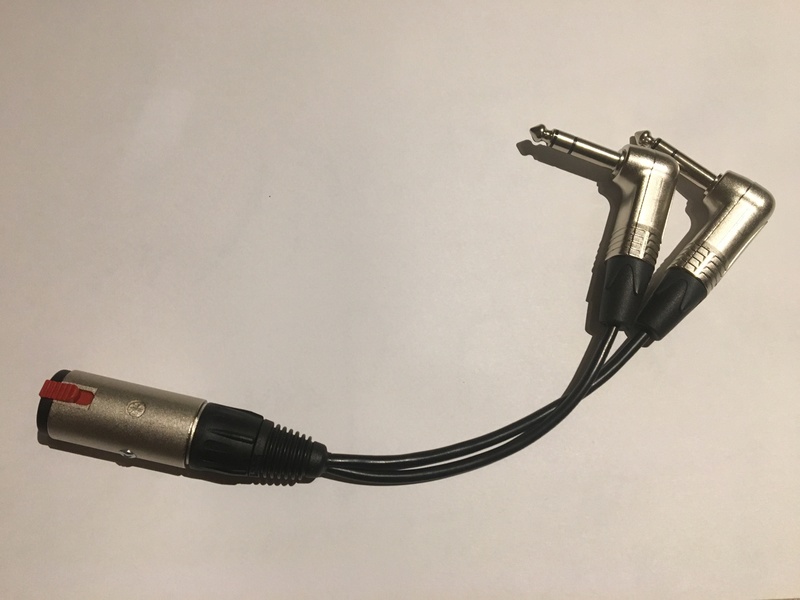 One of the teleplugs for the bow/edge input is equipped with a resistor to be able to separate the edge switch from bell switch and create three zones. 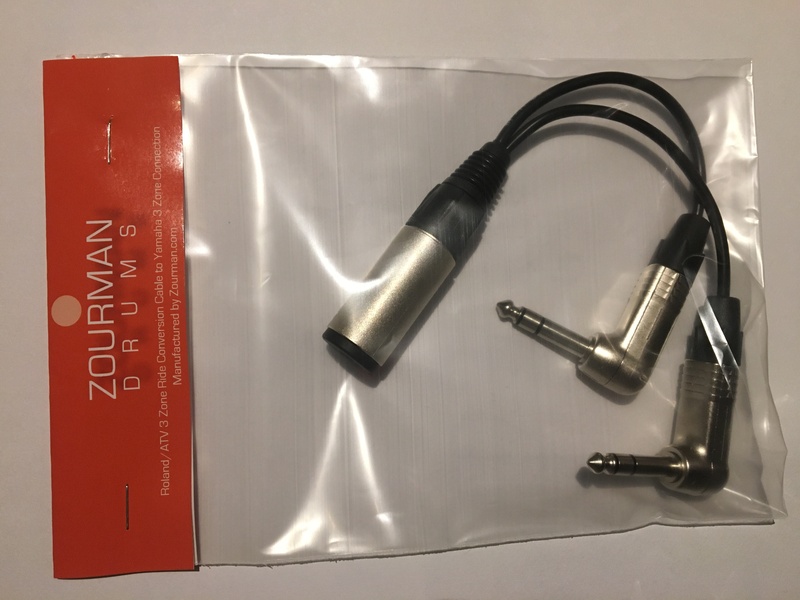 The cable is equipped with Neutriks best connectors with dual 90 degrees connector plugs to fit the Roland’s CY-13R/15R e-cymbals and the female jack has a connector lock to secure the cable to be fixed at all times!